Summer weekend getaways are cause for celebration. Grab a beach towel and get ready for sand between your toes! Who's ready for summer weekend getaways? We're counting down the days until vacation begins! Boredom is not an option at any of these hotspots. 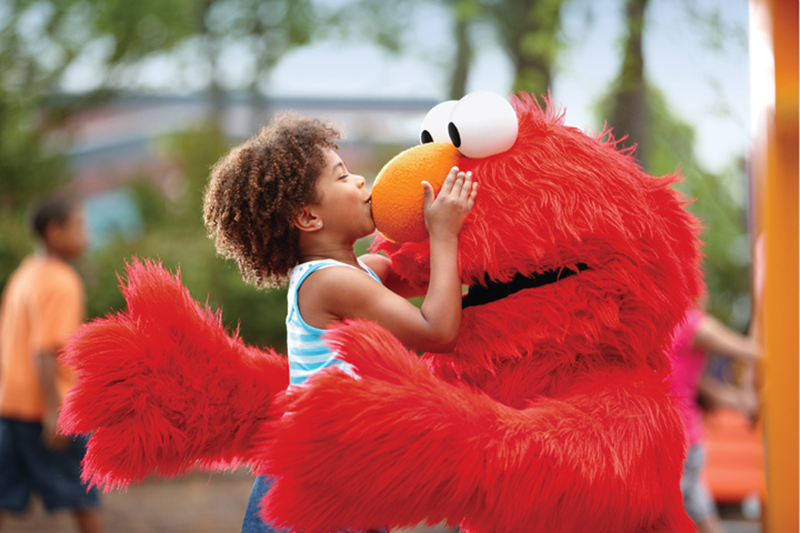 Venture to Annapolis with the maritime-loving kids, take a drive to Sesame Place with the Elmo-obsessed and enjoy the newly opened Kartrite Indoor Water Park and Resort, a new spot in the Catskills that holds the title for the largest indoor water park in New York State. If you need some inspiration, our list of summer weekend getaways for families will tell you where to go, what to do, where to eat and where to call it quits for the night. Ah, summertime and the livin's easy! 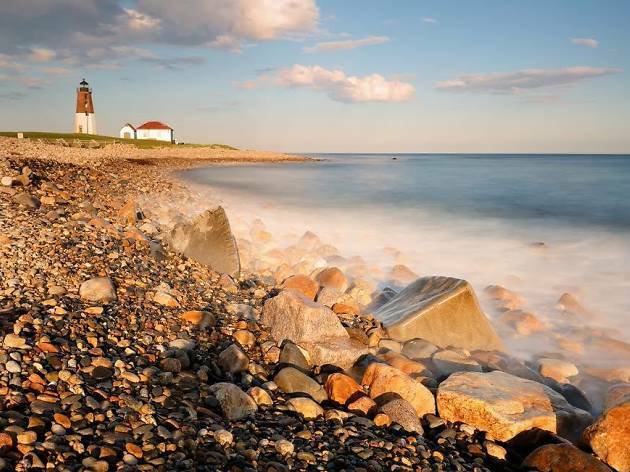 Rhode Island's popular seaside town is a go-to for all vacationers on the east coast looking to hit the beach—or three, to be exact. Bring surfboards and boogie boards to the well-known Scarborough State Beach (note that these waves are probably more suitable for the older kids in your clan) and venture to the less intense Roger Wheeler State Beach with tiny tots who will gravitate toward the playground and the calmer waters. Salty Brine State Beach has gentler waters, too. Naturally, no beach town would be complete without a lighthouse. 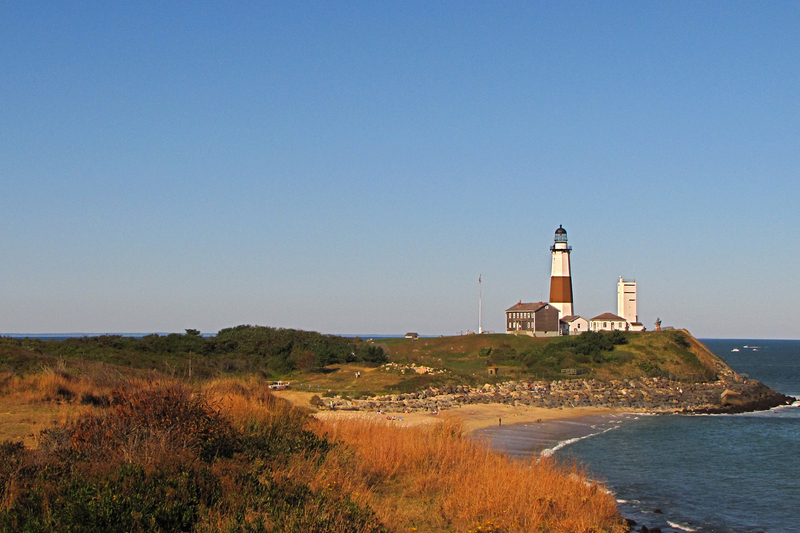 Although Point Judith doesn't welcome visitors inside, families are able to head to the grounds and take scenic photos off the coast. What kids can and will access is a ride on the Flying Horse Carousel, and understandably so. Rumor has it that this is the only surviving flying horse carousel left in the U.S. When hunger strikes, adults will opt for seafood dishes (including amazing lobster rolls) and seaside views at Coast Guard House but those craving comfort food will find something desirable at Eddie's BBQ. Regardless of what's on the menu, all suppers should conclude with a visit to the nearby ice cream shop, Brickley's. 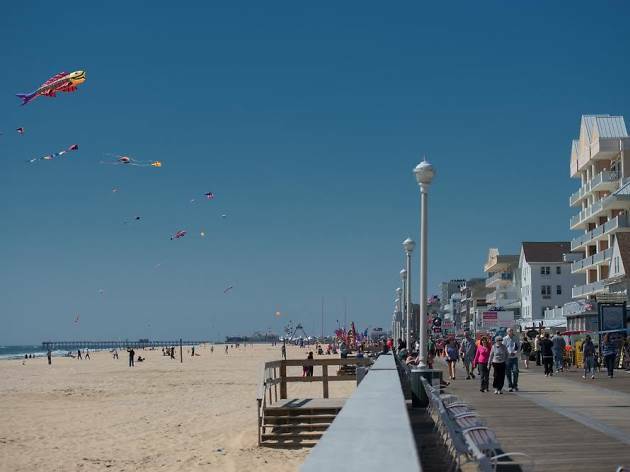 This seashore town—located between the Atlantic Ocean and the Isle of Wight Bay— boasts white sand beaches and plenty of places to romp and play. Stroll along the boardwalk a long list of food options when your stomach starts to rumble. Pop into Phillips Seafood for all-things crab. For other kinds of fun, take a break with a ride on one of the 45 hand-carved animals on the historic Trimper’s carousel or cater to your inner thrill-seeker with a trip to Jolly Roger’s Splash Mountain Water Park. Stay: Spend your nights at Carousel Oceanfront Hotel & Condos, which features a kiddie pool, bounce house, game room and a pirate ship jungle gym. 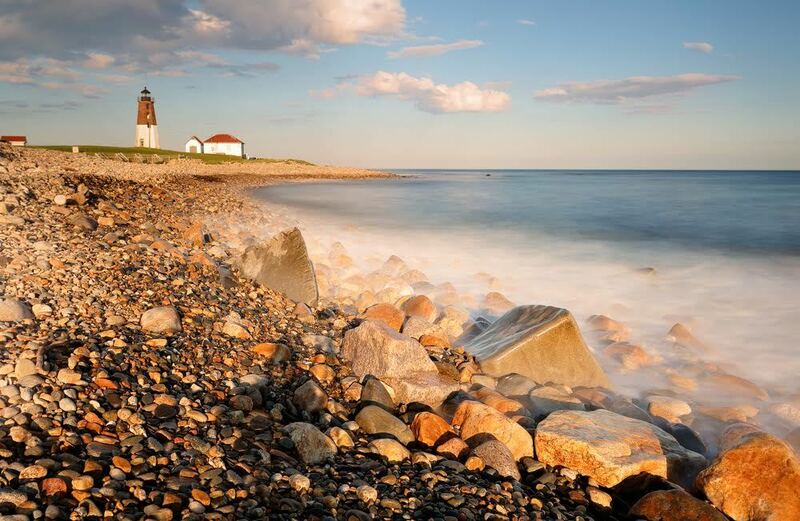 If spectacular beaches, salty air and delicious hole-in-the-wall seafood spots sound right up your alley, Cape Cod is one of those family getaways you can't miss. 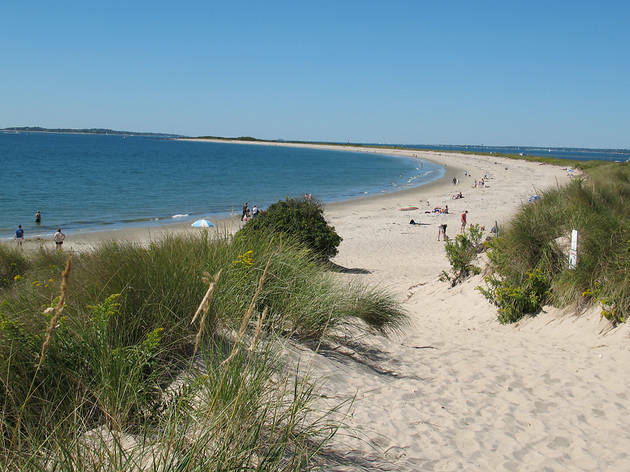 Its 22-mile path, the Cape Cod Rail Trail is perfect for those who love to bike. 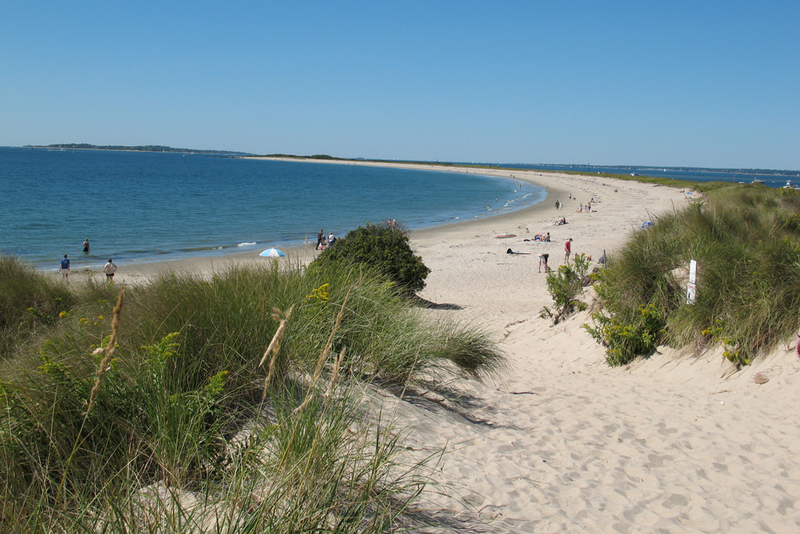 Running along a former railroad track, it stretches from Dennis to the town of Wellfleet. (Sound familiar, New Yorkers?) Parking areas dot the paved railbed, so you can go as far as you'd like in either direction—and hit the beach along the way if you do a little advance planning. 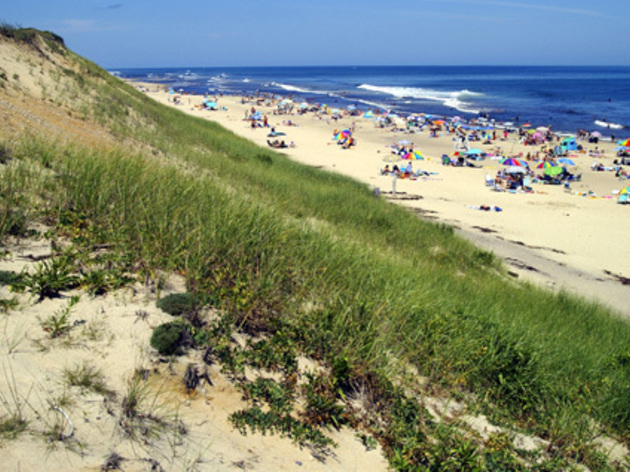 North of the Rail Trail, between Wellfleet and Provincetown, beach options expand. 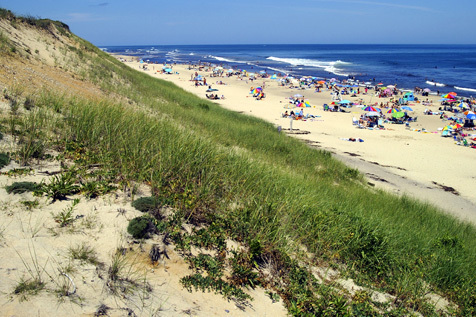 Families with young children might prefer sticking by the bay side, where water is warmer and there’s no undertow, but oceanside strands like Head of the Meadow or Marconi—both part of the Cape Cod National Seashore—are breathtaking. 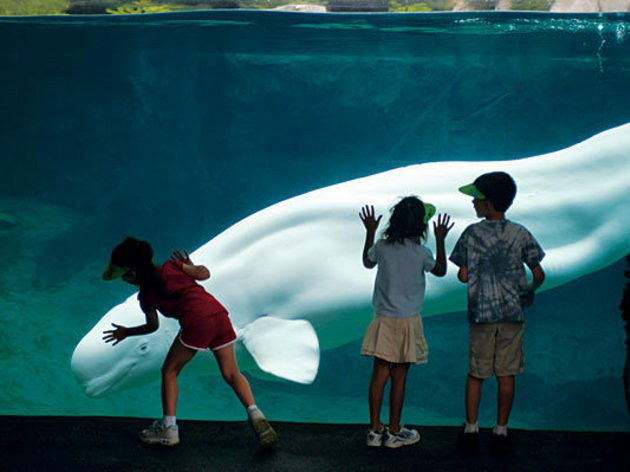 So are the whales just beyond them, who arrive from warmer climes to feed in the area’s teeming waters from April through the end of October. Whale Watch Dolphin Fleet, in Provincetown, offers great family excursions. Feast at Quicks Hole Tavern, where youngsters under 10 get to make selections from the kids' menu. Stay: Situated right on the Rail Trail, Midway Motel has a secluded feel and cost-saving packages—including one with whale watching. Get ready for an all-inclusive resort like no other. 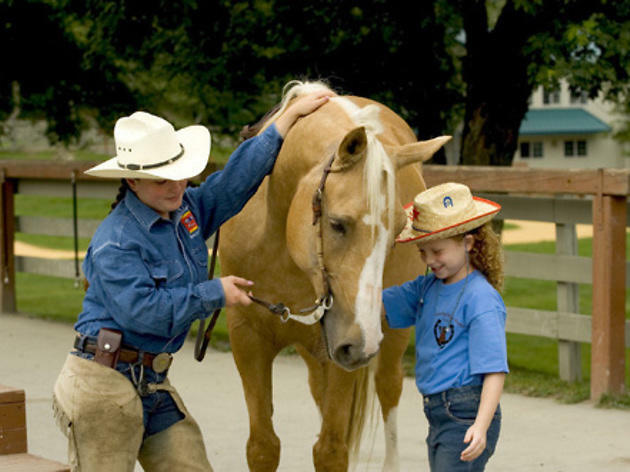 Rocking Horse Ranch pays homage to summer camp days with horseback riding, water sports and other fun outdoor activities for the whole family. Looking for performances? You’ll have it made with magic acts, ventriloquists and other fun offerings. When activities become too overwhelming (for parents), make sure to take advantage of spa treatments such as facials and massages. A mere two hours away from NYC, and you'll feel like you're in another world. Located in Bucks County, New Hope boasts a quaint, country atmosphere with shops, attractions, restaurants and annual community festivals. 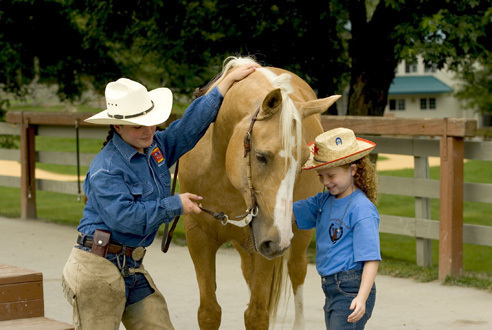 You'll want to take in a show at Bucks County Playhouse and bring the kids to Bucks County Childrens Museum, which features a digging station, a hot air balloon VR experience and a mini town square that transports little visitors to the turn of the century with a cute general store, ice cream shop and other amenities. For the little locomotive fans in your life, hop aboard the New Hope & Ivyland Railroad for a glimpse at the bucolic scenery. Don't forget to visit during the holidays, as both Easter Bunny Tours and the North Pole Express are available for families. Venture to the historic Peddler's Village for shopping and dining. Seven full-service restaurants allow families to pick and choose selections that work for them (American classics, cafe brunches and more options are available). One thing's for certain, no trip to the sweet destination is complete without an equally sweet scoop of ice cream from Nina's! 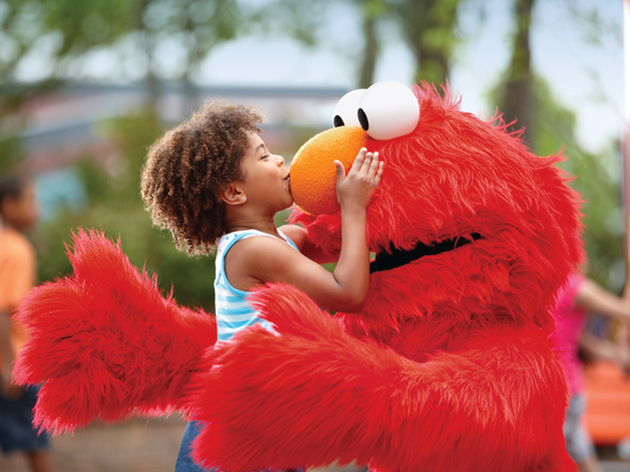 If you're looking for an amusement park environment, Sesame Place is certainly the way to go. Make sure to give Elmo, Big Bird and the rest of the crew our regards. Stay: Outdoorsy types can pitch a tent at the Colonial Woods Family Camping Resort. Awaiting the maritime-obsessed is the tremendous Mystic Seaport, a 19-acre living history attraction where families can explore a re-created 19th-century village filled with “working” shops (an oyster house, a ship carver), an authentic whaling ship and such offerings as Australia Beach, where educators teach kids about the marine creatures at the water’s edge and the Discovery Barn, where budding seafarers tie nautical knots and learn communication techniques like telegraphic semaphore flags. 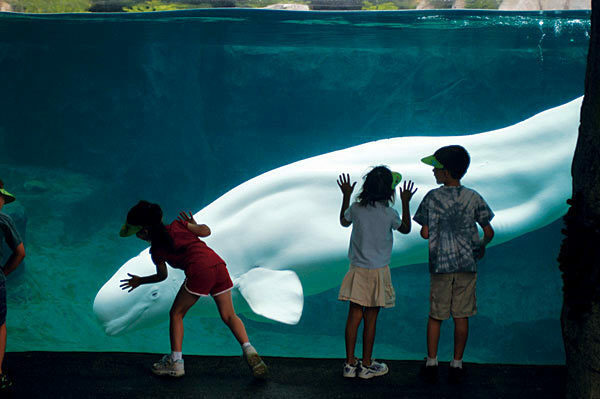 Luckily for kids, the town’s also home to the Mystic Aquarium. Don’t forget to check out the Mystic Bridge Historic district, where great architecture, shops, ice cream parlours and a bridge to West Main Street await. There's plenty of seafood options for older members of the brood, but the youngsters might prefer dinner at Mango's Wood-Fired Pizza Co.
Stay: The lovely Whaler’s Inn is situated near all the town’s attractions and offers a gratis Continental breakfast and discounted aquarium tickets. They say Hershey is the sweetest place on earth, and we're not one to argue with such terrific findings. Let kids pretend they're Willy Wonka for a few days with a visit to this Pennsylvania family hotspot. Everyone in your brood with a sweet tooth will have a stellar time visiting Hershey's Chocolate World, which features tastings, candy making, tours and other super-tasty fun. 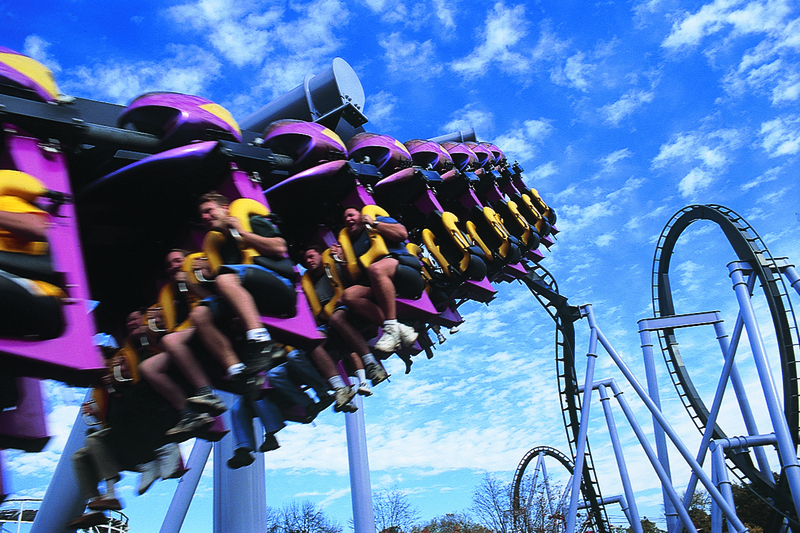 Make sure to stop by well before (or after) your visit to Hershey Park. There are so many options at the park (and water park) that you wouldn't want to hit any of the rides on a full belly of chocolate. (Mom and Dad: If you have some down time, you'll be pleased to know that there are shopping, golfing and spa appointments waiting for you!) There are plenty of dining options, but kids will most likely gravitate toward Houlihan's. Stay: At the Hershey Lodge, kids get their own special check-in, sign a guest book, play a Hershey’s candy guessing game and receive their own personalized lanyard and chocolatey treat. Sounds like a no-brainer! 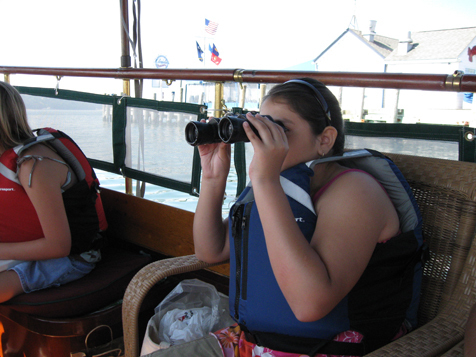 There’s plenty for all ages here in Annapolis! Its historic downtown is gorgeous (cobblestone streets) and features a mix of historic bed and breakfasts, shopping and beautiful landmarks like the U.S. Naval Academy. Hit up the Naval Academy Museum and Jean-Paul Jones’ Crypt for a dose of history, then visit the Annapolis Maritime Museum to learn about aquatic life and Annapolis’ role in the oyster industry. There’s also a newly refurbished downtown dock that’s always filled with impressive boats. Stay: The Holiday Inn Express & Suites is close to downtown and sits at a little over $100 per night. There’s also complimentary breakfast! A mansion tour isn't at the top of most children's must-do lists, but this isn't just another rich family's house: Among other novelties, you take both an antique train and a ferry to get here. Kids used to jam-packed subway cars will love settling into their comfortable seats on the Essex Steam Trainfor an hour-long trip through the Connecticut River Valley. Disembark and, after a brief walk, hop aboard the Chester/Hadlyme Ferry. 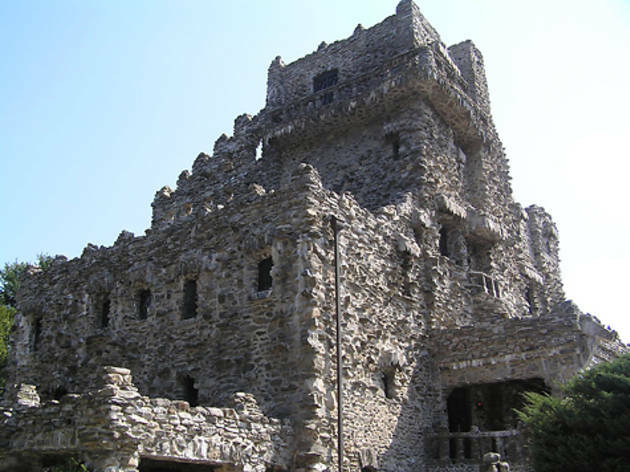 As you approach landfall, keep an eye out for the medieval-style stone structure atop a hill—that's Gillette Castle, and it's just a short hike from the shore (though keep in mind it is not stroller-friendly). Once you're there, tour guides will take your crew through two dozen wood-and-stone–clad rooms. Built in the early 20th century by the then-famous actor and Sherlock Holmes portrayer William Gillette, the mansion is like a mystery-movie tableau where ghosts and evildoers might lurk at any turn. Gillette was also a stage manager who invented many trick props, and a bit of a prankster: He devised a series of mirrors to allow him to spy on visitors, and a hidden staircase so that he could sneak up on guests—or escape from them. Before or after your ferry ride, fill up at the Trackside Cafe, a converted dining car at the steam train depot. Stay: Relax at the outdoor pool at the former Sandpiper Inn in Old Saybrook, now an Econo Lodge Inn and Suites. Sure, you want the kids to have fun on vacation...but getting a little adult r&rwould be pretty sweet, too. 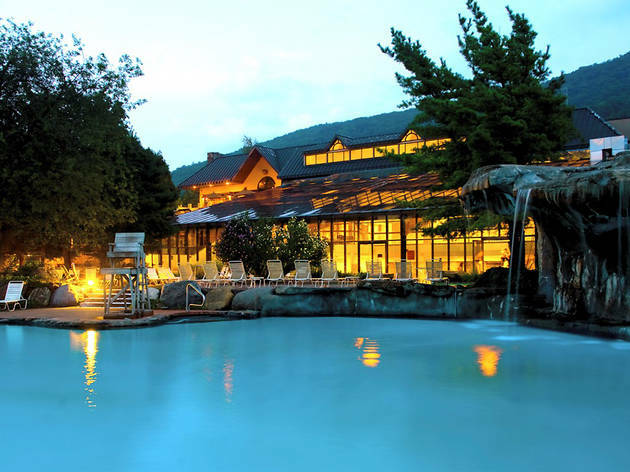 For a getaway that will sate the offspring yet also allow you a little self-indulgence, Crystal Springs Resort should do the trick. 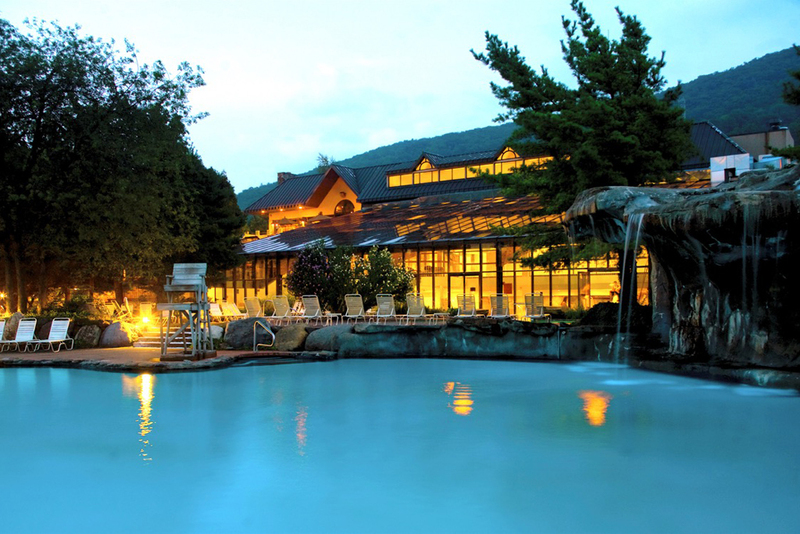 The very kid-friendly place is 90 minutes from New York, so you'll be pulling up to the sprawling grounds in no time. Seven indoor and outdoor pools allow for splash time no matter the weather. You, meanwhile, can kick back on a lounge chair with a cocktail from the poolside bar, or take turns watching the kids while one of you sneaks away for a massage in the on-site spa or a round of golf on the adjacent course. In the evening, head to Smokey's Tavern for burgers, wraps or pizza, then hit the Warwick Drive-In for a first-run double feature. After breakfast the next morning at Kites, the resort's restaurant, kids will no doubt want more pool time. That will leave them refreshed for a hike along the Canal Road section of the Appalachian Trail before you head back to the city. 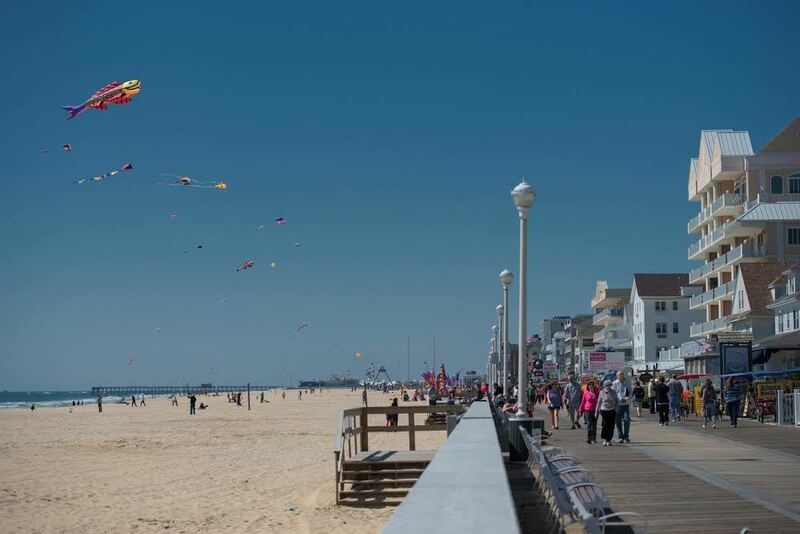 Phew: This Jersey Shore town is more family-friendly than MTV cameras led us to believe. 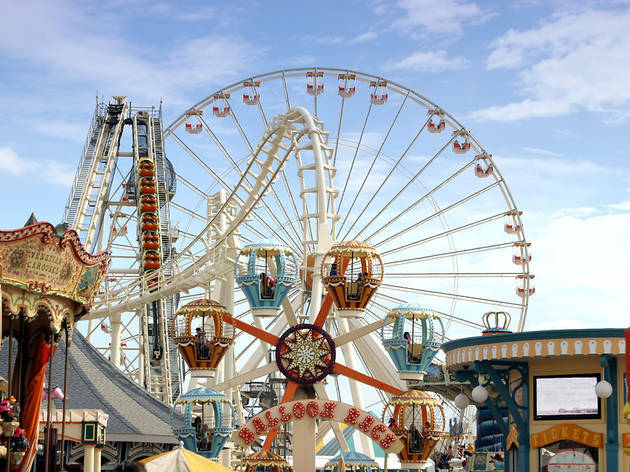 Morey's Piers offers two parks for one price: Raging Waters and the Ocean Oasis Waterpark and Beach Club, a 10-minute walk or five-minute tram ride away. 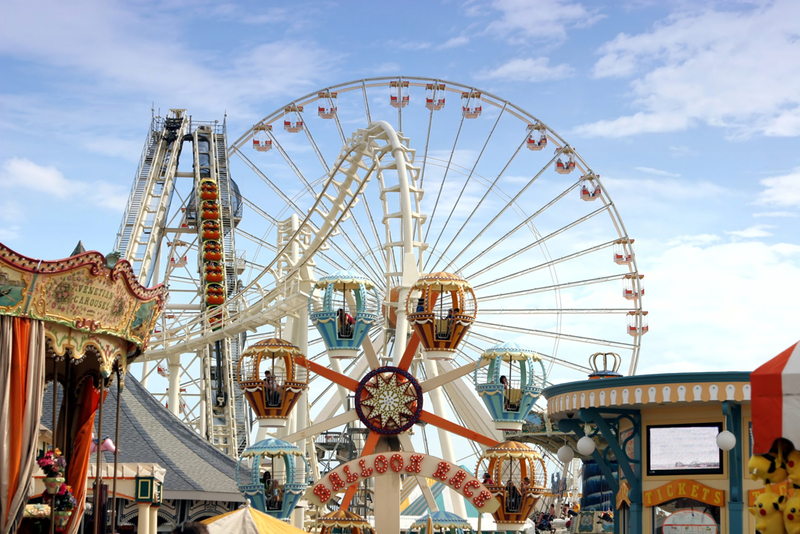 Those who want to remain on dry land can hit up carnival rides and other attractions at three amusement piers though combo tickets are available if your little ones can't decide. Indulge your seafood cravings at Crab & Seafood Shack, where kids 12 and under have their own menu with the typical fare: hot dogs, chicken fingers and more. Stay: Book a room at El Coronado Resort and enjoy poolside barbecues, movies and live entertainment. 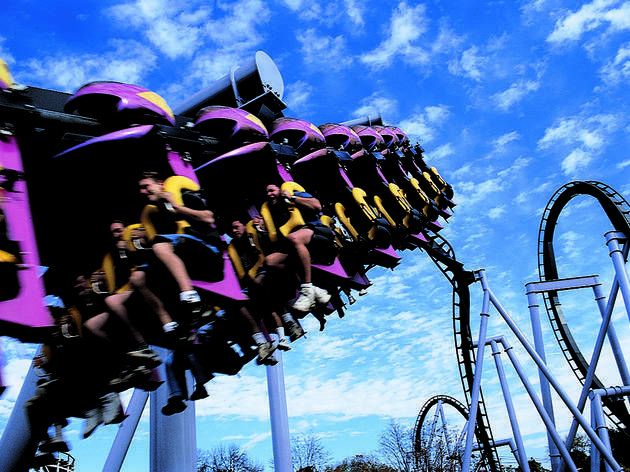 If the family can’t choose between thrilling amusement rides and swimming pools to beat the heat, then an itinerary centered on Dorney Park & Wildwater Kingdom will satisfy everyone. The older set will enjoy the twisting, turning dry and wet rollercoasters while little ones enjoy Peanuts-themed rides. Come nighttime, watch movies under the stars at Shankweiler's Drive-In Theatre. 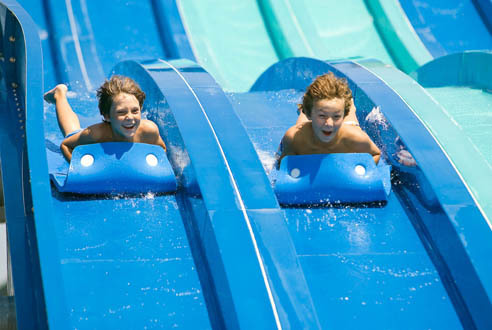 Stay: Tuck in at the Holiday Inn Express & Suites for close access to the theme park. A picturesque former whaling village, Greenport boasts a walkable downtown of shops, galleries and restaurants featuring local seafood. At Preston's Dock, sign up for a cruise aboard the Glory, a 30-foot solar-powered sailing vessel. Just 15 minutes away, kids can swim at Orient Beach State Park, which has a restored lighthouse at its tip, while keeping an eye out for wildlife like great blue herons and osprey. Back in Greenport, chow down at Claudio's, a favorite since 1870. Dine on the catch of the day while kids sample fish filet sandwiches. Stay: Bunk at the beachfront Silver Sands Motel and Beach Cottages. 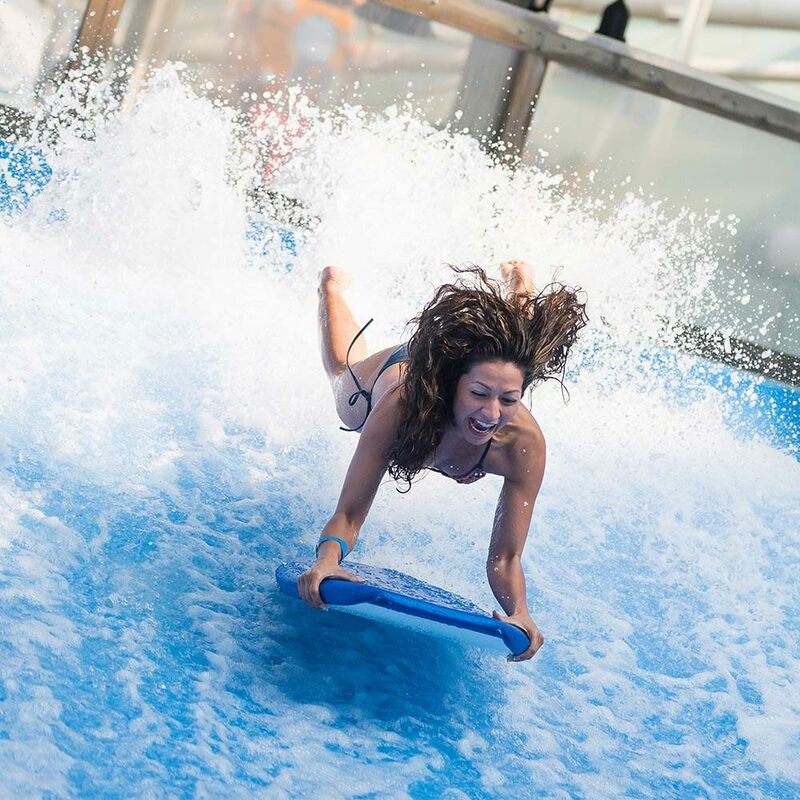 If you and your crew love spending time at awesome indoor water parks, you'll be pleased to know that Kartrite is New York state's largest. (Sounds like you'll need to book a stay ASAP. The resort opens April 19, 2019!) 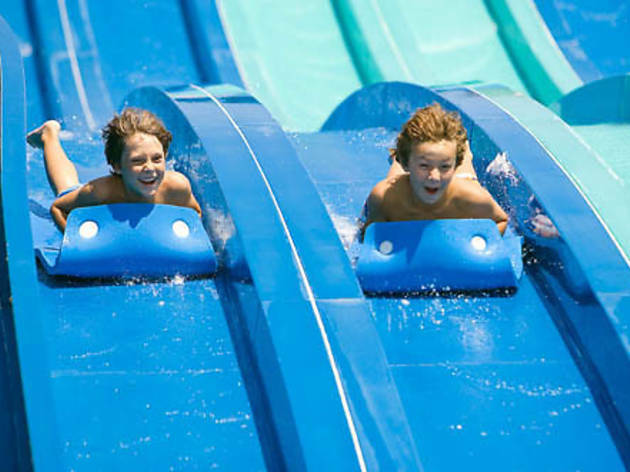 Once there, kids will gravitate toward the Jiggerty-Jaggerty, a 42-foot-long slide, fun puddle ducks, the lazy river and so much more. Families will love the fun happenings taking place at the resort (Bingo for kids, crafts, an egg hunt during Easter). Moms and dads who need a quick breather will be pleased to know an onsite spa offers facials, massages and even beauty treatments for kids! All ages. The secret's out: Long Island's go-to summer vacation spot has garnered quite a bit of attention as of late, and it's become increasingly popular for people to book a stay when out on the east end. Although millennials continue to flock to the Long Island destination, there are plenty of reasons for families to take notice, too. 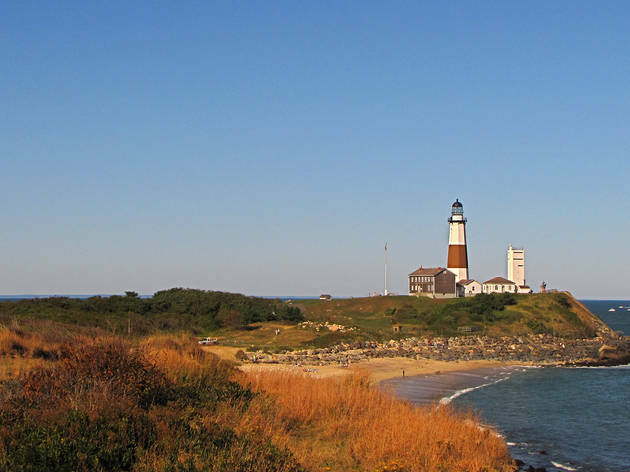 Parents and kids can keep busy with a variety of options: Climb to the top of the Montauk Lighthouse—a national landmark—stop by Puff 'N' Putt not only for a game of mini golf, but boating and kayaking, pick up a nautical-themed souvenir at Captain Kid Toys, hit the waves during fun surfing lessons and, of course, spend time getting sand between your toes at one of the town's great beaches. Seafood options abound, naturally, and you'd be remiss not to have at least one meal at Gosman's—it's essentially an unwritten requirement.